Mayes and Scrine are pleased to be able to offer acupuncture as part of our multi-modal pain management strategy. This minimally invasive drug-free treatment allows us to manage pain in a very different way from conventional drug therapy, and with no side effect risks. It can be used alongside bute or other drug therapies, and can be done at the same time as other treatments such as joint medication. It can also be useful in certain medical conditions. Conditions where acupuncture can be particularly helpful include back/neck muscle pain, headshaking and respiratory allergies. 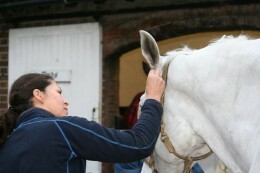 Acupuncture on animals can only be carried out by qualified veterinary surgeons – rather different from the situation in humans. 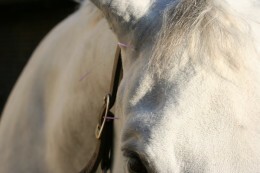 If you would like to discuss acupuncture treatment for your horse, please contact the practice.